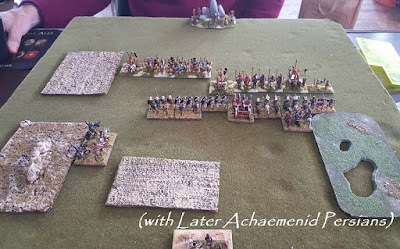 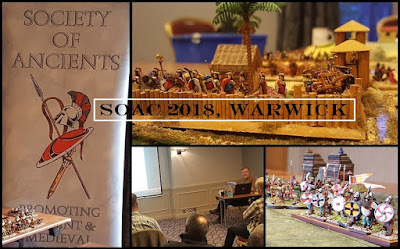 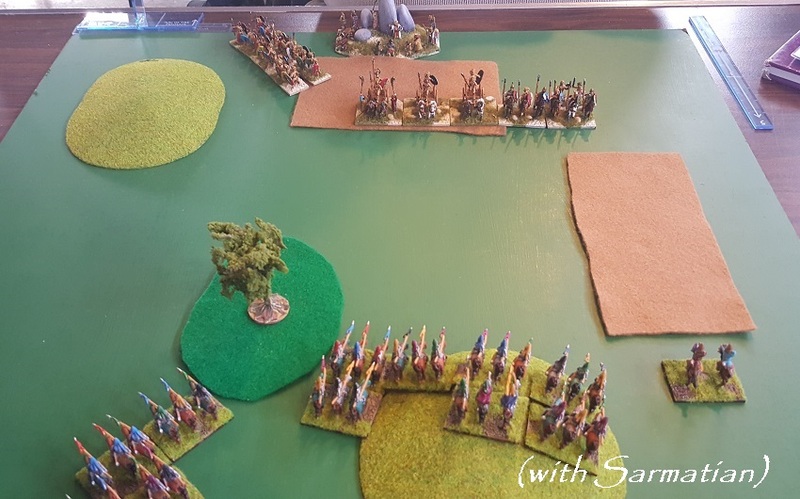 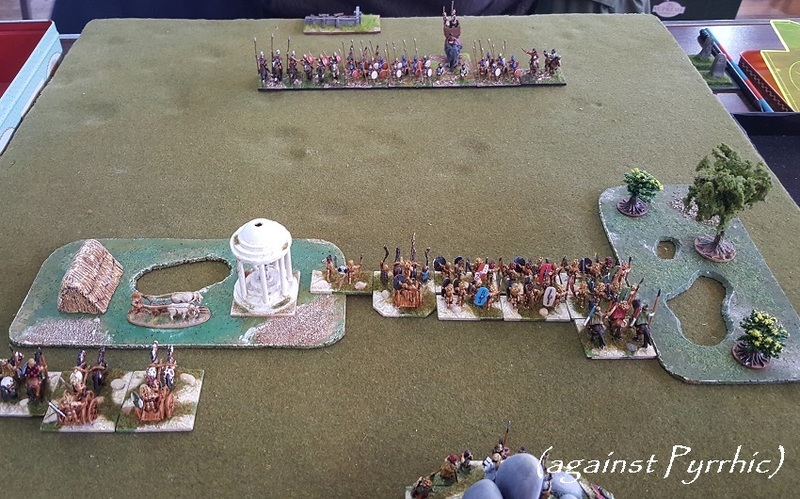 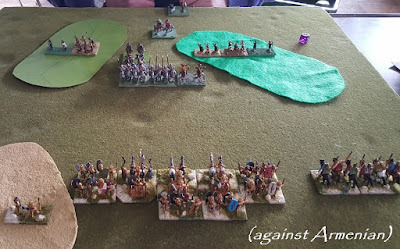 The following weekend we were off to the West Midlands for the Alumwell show ... this time as the full Society of Ancients/Northampton Battlefields Society roadshow - giving a first trial outing to the new Edgcote game. 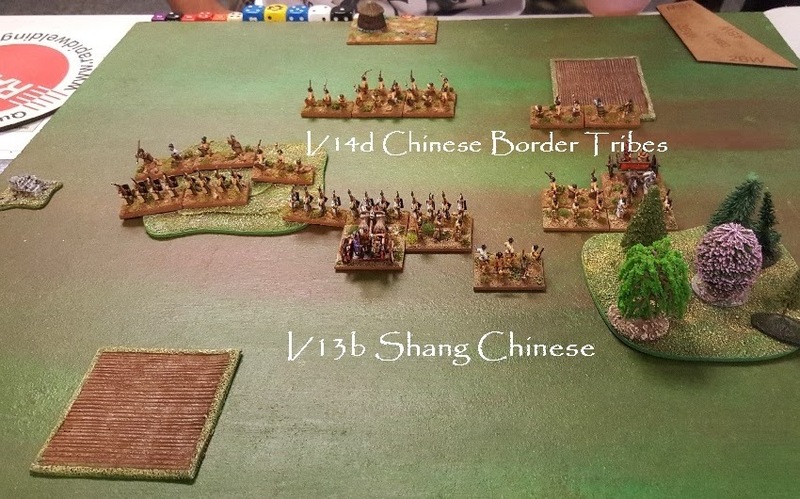 Yes, 1469 meets 2019 for 550th commemoration. 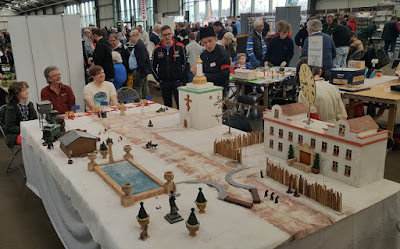 Yes, we've been working on this for a while and have still a number of aspects to complete - but we wanted to try out the basic game, and the figures have been ready to base up for a while. So, next we need to landscape the bases and build a shows standard battlefield. 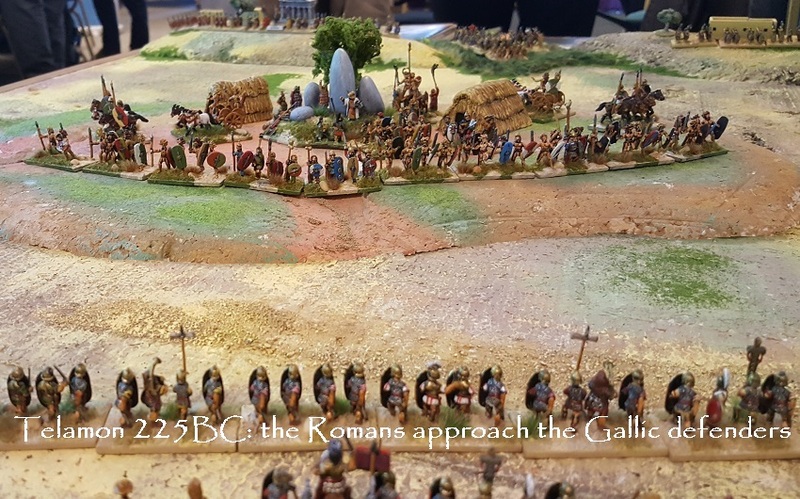 The game is Hail Caesar and the scale, unusually for us, is 28mm. The figures are Wargames Foundry, supplied in an exclusive arrangement with the manufacturers. 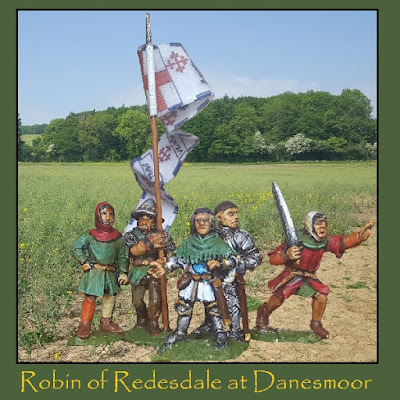 The flags are fabric ones made for us by Graham at Fluttering Flags. 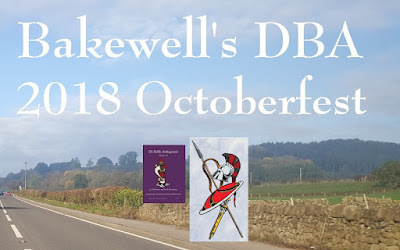 This was the beginning of Warwick's rebellion and the Yorkist civil war. 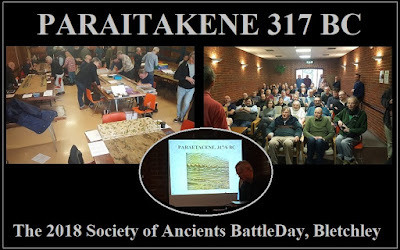 In July, some of the forces mobilised for battle met in a fair plain between three hills in South West Northamptonshire, just outside Banbury. 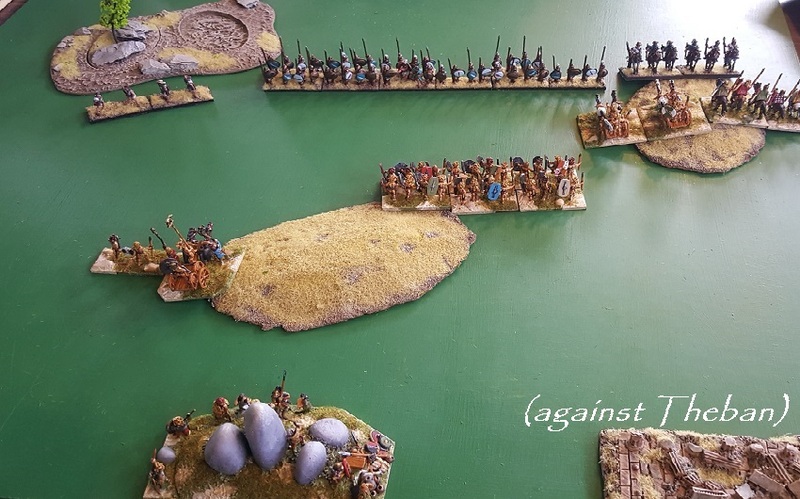 It was not a good day to be Welsh. Additionally, tickets are still available for our Edgcote Anniversary Study Day in July. As always at Alumwell, the other games were great and there was a good mix of things to look at. 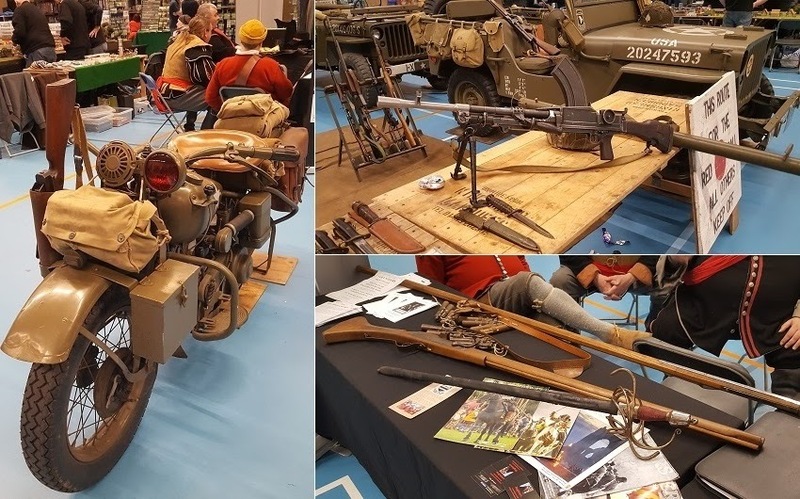 The Military Show side of things is represented by an extensive modelling display and competition and a wider than usual range of reenactors. I really do like this sort of thing (though a bit more ancient and medieval stuff would be good) - I like the traditional mix of all things military (I prefer it to the endless shopping stalls type of show where everyone is selling the same stuff*) ... That said, starting up the motorcycle inside to ride it out wasn't such a good idea and left a largely uncleared hall choking on the fumes. 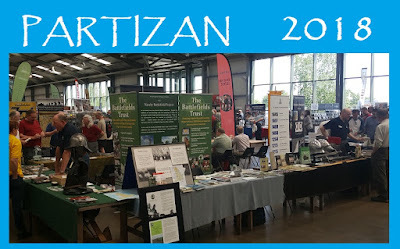 Thanks to the organisers for a nice show and giving us plenty of space. I suspect we'll be back next year with the fully developed version of the game. 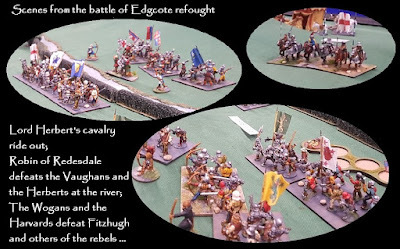 Remember Edgcote. 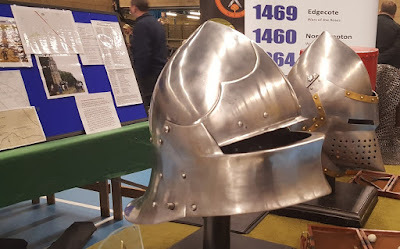 1469 - 2019. 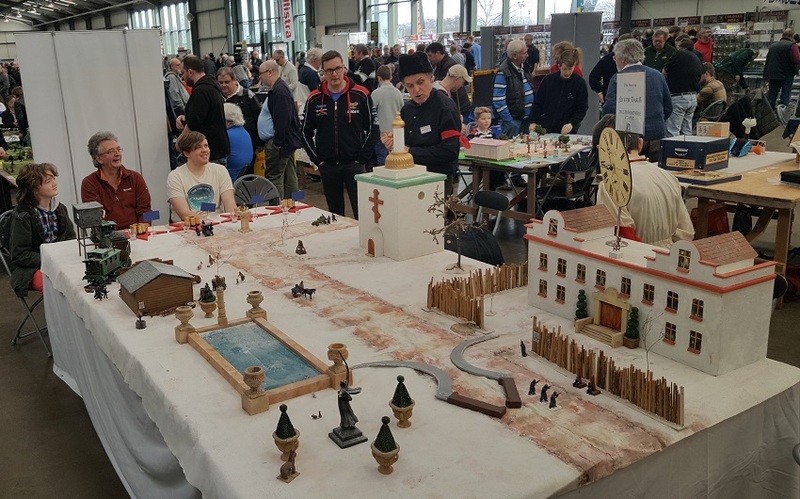 *then again, I would say that as few of these traders seem to sell anything I want. 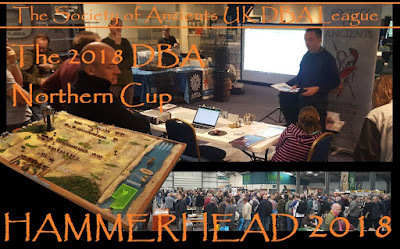 Looking back on March, the month started with an outing to Hammerhead for the Northern Cup. Regulars here will know that this is the one where the organisers provide all the figures and terrain ... as players you just have to figure out what to do 'off the hoof' as it were (no special plays - a true test) ..
Last year, of course, the show was postponed until later in the year, frozen out by the beast from the East. 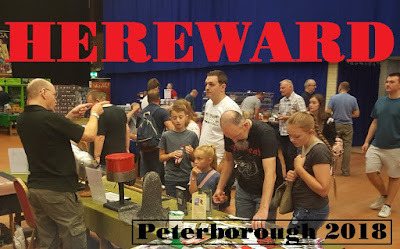 No beast, this year, scarcely even a pest from the West in the warmth of early Spring. 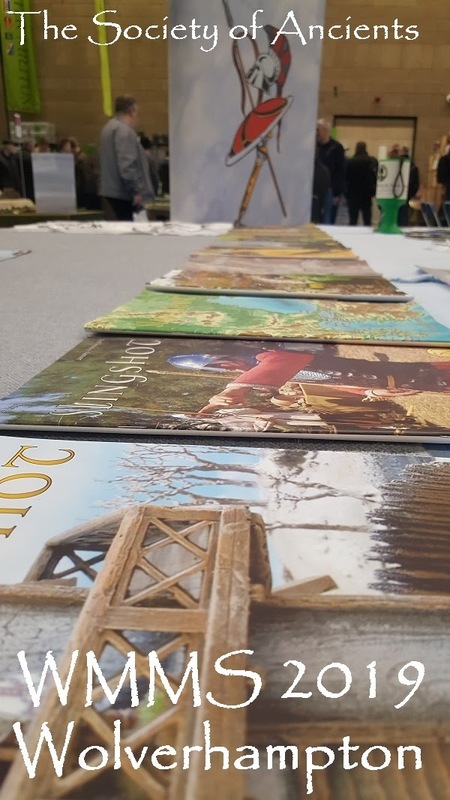 In the era of Climate Change, a year seems a long time. 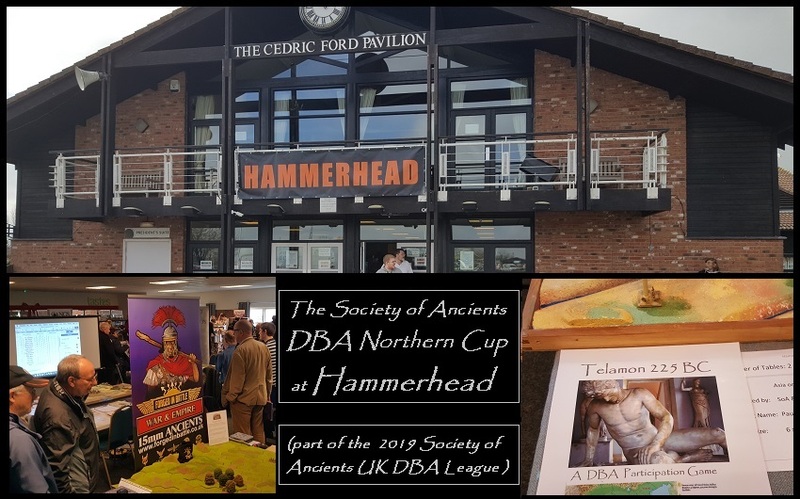 For my part, in addition to playing, I took along a DBA display game promoting the Society BattleDay which this year is Telamon, the story of a beleaguered Celtic army, trapped between two Roman armies. 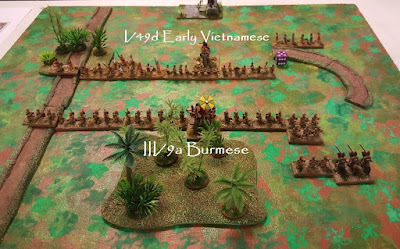 This year was Paul's turn and the theme was the Far East. 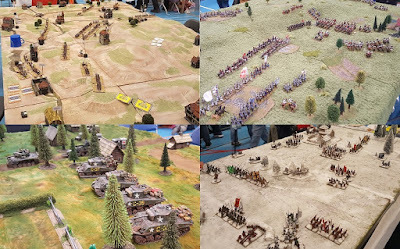 He made the best of it and provided a challenging range of scenario's ... a lot of variety, a pleasure to look at and play ... and quite a high level of balance. 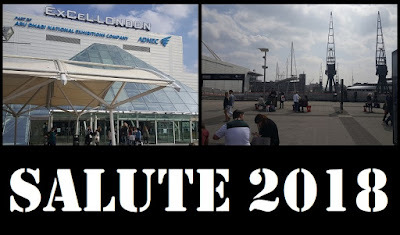 All in all, a good job. As has become something of a custom, here, I'll summarise my day by snapshots of the scenarios I played. 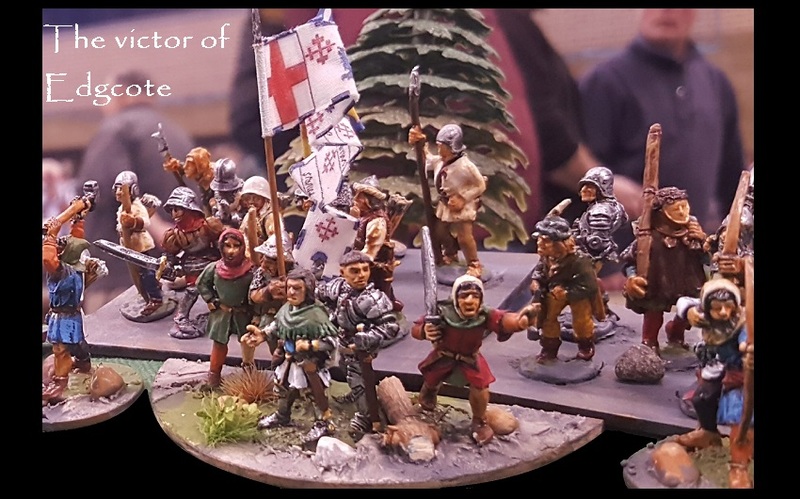 An eager audience settles down for the next Red Revolution Romp, while I go off and buy some more 28mm lead to round out the Edgcote collection. 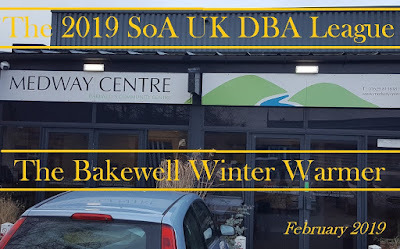 So this was a new addition to the UK DBA scene and a brave attempt to get us all into the Derbyshire peaks in the dead of Winter. 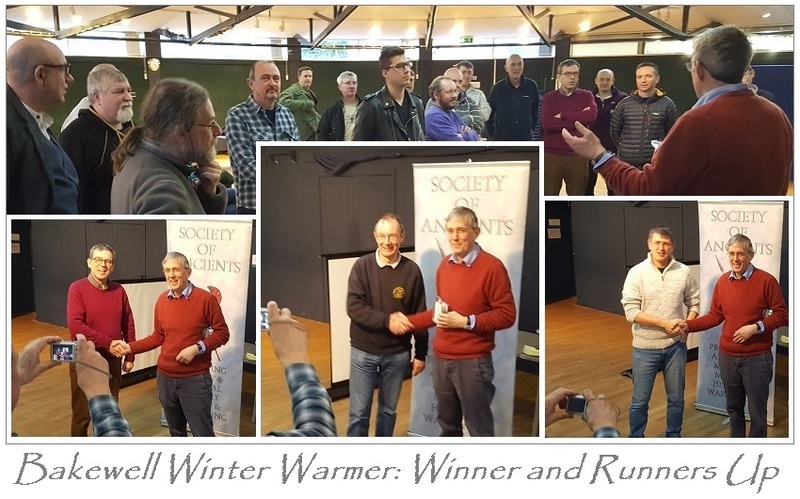 Actually, there was no Beast from the East this year and the weather was as good as many a Springtime. 22 players made the final score sheet. 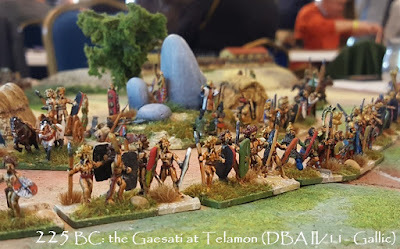 In his charitable clearout, David Constable gave me a Galatian army to use for Telamon, and I have been painting it over the Winter. 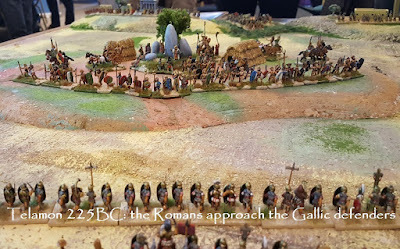 Gallic/Galatian is a bit of a loose distinction to me and the configuration I was working to fitted this theme better as 'Gallic'. They have turned out very nicely I think, but by the time of the event I had not fancied up the shields. 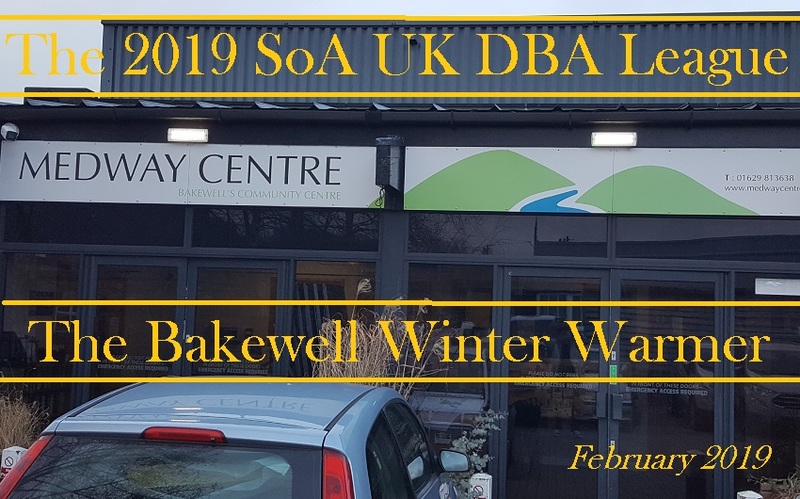 I will do one my standard DBA specials when I get back to them and complete the work. The format was to pay 3 games with your chosen army - and 3 against. 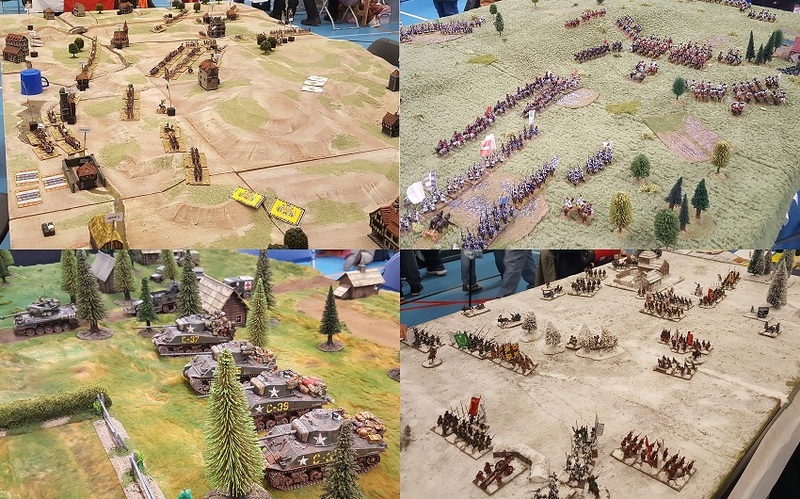 Here are set up shots for my six games. 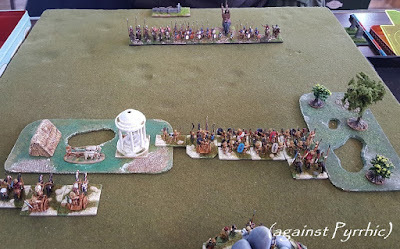 All good games despite the Gauls under-performing a tad. 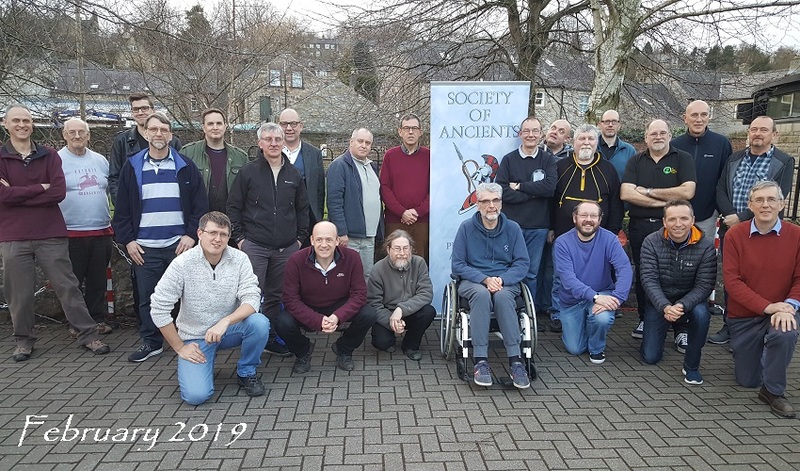 They have St Paul preaching to them in the background so may be they will do better, as intended, as Galatians? 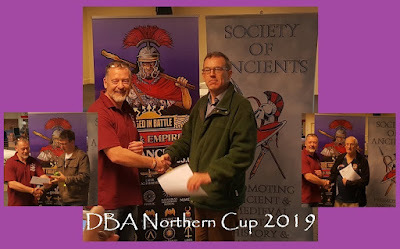 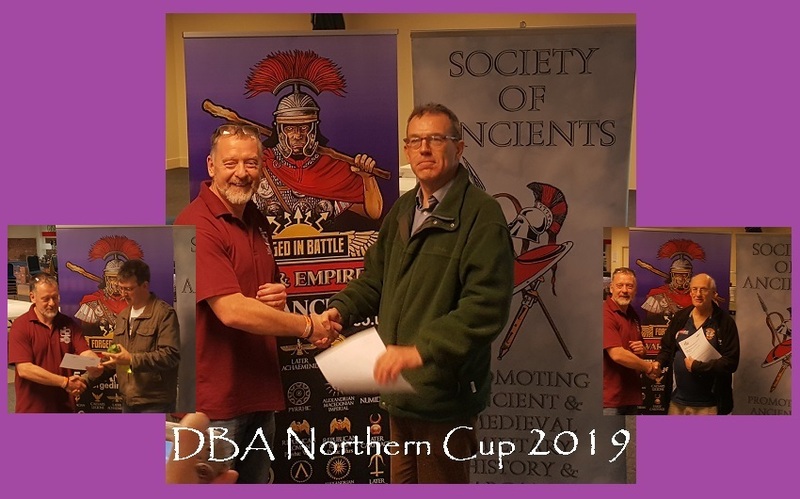 A good win for Mark with Early Libyans (maybe not a great pick for standard format events ... ), and some familiar faces supporting him on the rostrum (which suggests it isn't just 'all down to the dice'). 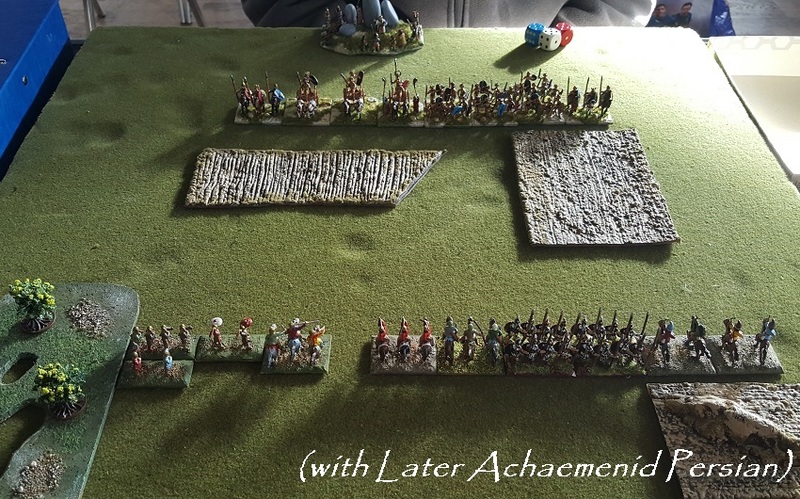 For those of you with an eye for army selection, there were 3 Later Achaemenid Persians, 2 Theban, 2 Sarmatian and 2 Gallic. 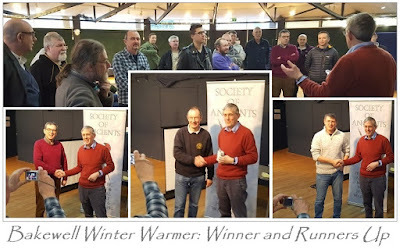 Otherwise all single selections. In addition to the winning Libyans, the top 3 included one of the Thebans and one of the Persians. 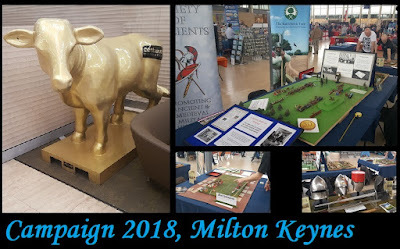 *apologies to those who saw an earlier truncated version of this post which went to 'publish' rather than 'save' after the first picture was added! 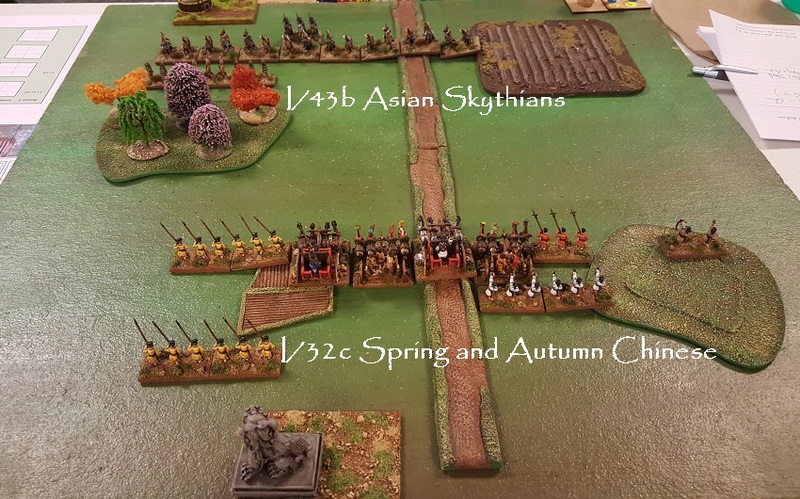 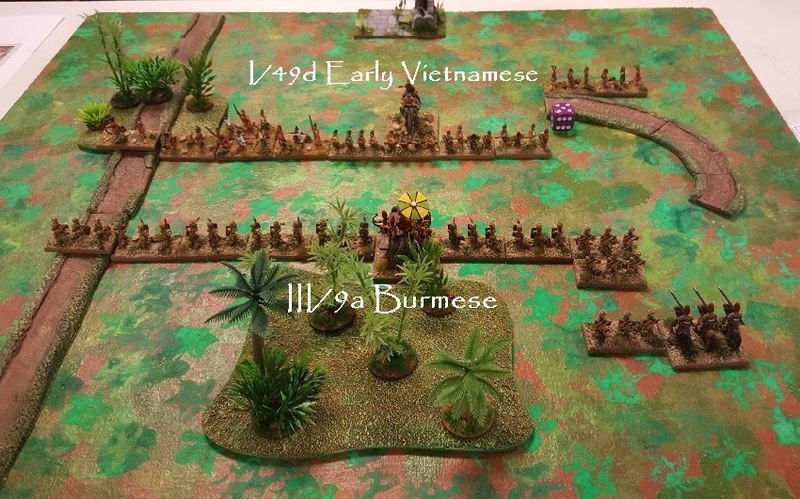 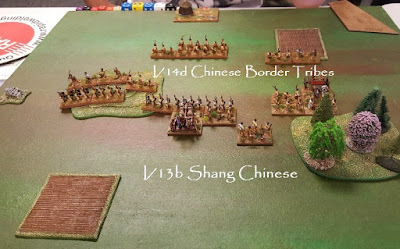 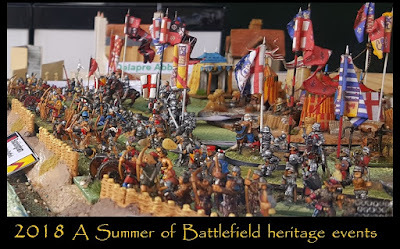 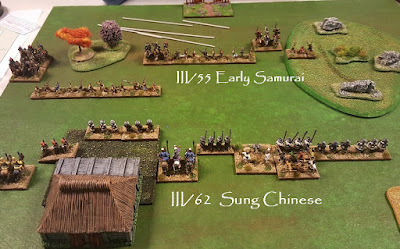 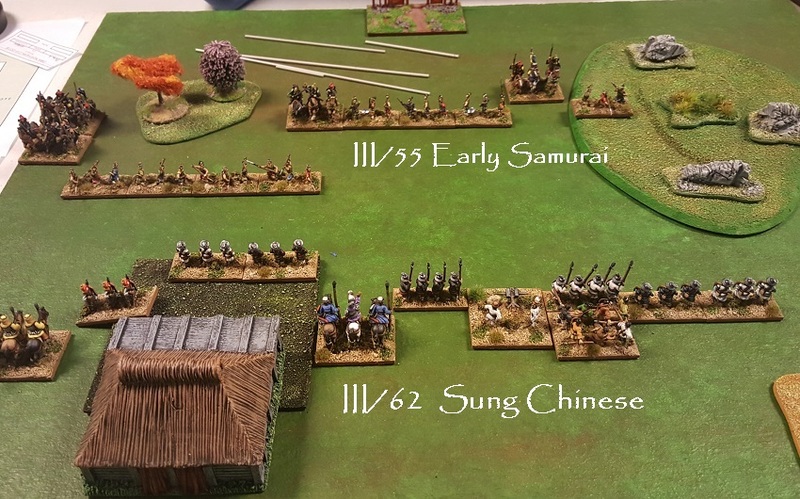 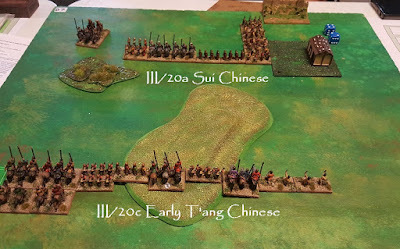 Although I remain essentially an ancient/medievalist who collects toy soldiers, plays wargames and explores historical battles, much has changed over the years, and my commitments have evolved away from what many consider 'mainstream' hobby games towards battlefield heritage and historical reconstructions. Likewise, the Society of Ancients has become far less concerned with public engagement (as in promoting through 'shows' - my forte, perhaps) and more uses online resources to support its worldwide (but these days, smaller) membership. 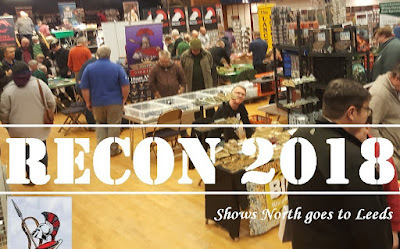 So I suspect, year on year, the this, the Shows North blog, will have fewer specifically anc-med outings and wargames to report on. 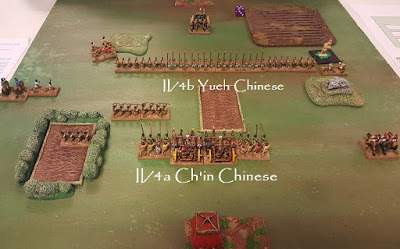 Although tallying 2018, it turns out that I am wrong. 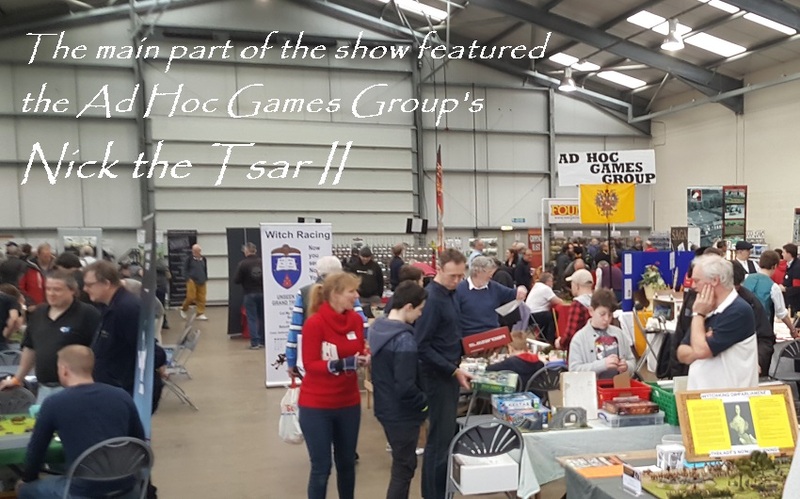 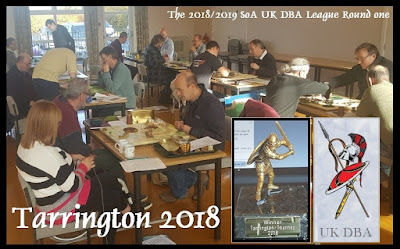 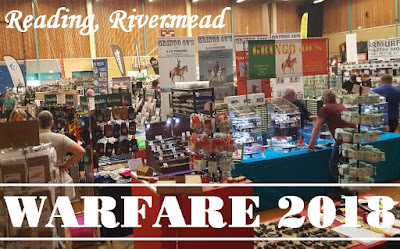 2018 delivered 28 actual outings (so still in the region of 2 a month): 6 tournaments (all, this year, from the Society sponsored UK DBA League); 4 conferences; 8 heritage type events and 10 traditional wargame shows. 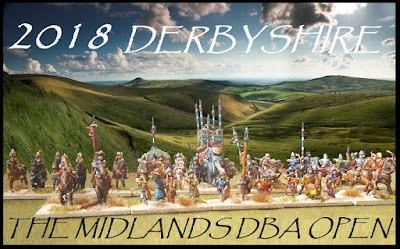 All of those are up on last year except tournaments (which lacks the Mercia DBA event, Alton pairs - and any ADLG as there was no Derby show in 2018). 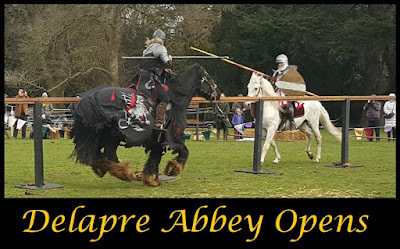 Unlike a decade ago, all these events are in Britain - indeed, England. That's a pity but also a fact of life*. 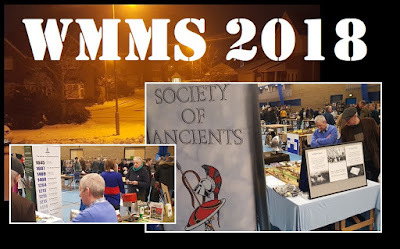 These days the Shows North stand is as much about Northampton Battlefields Society as The Society of Ancients and, for manpower reasons, we are often in concert with the Lance and Longbow Society and/or the Battlefields Trust. 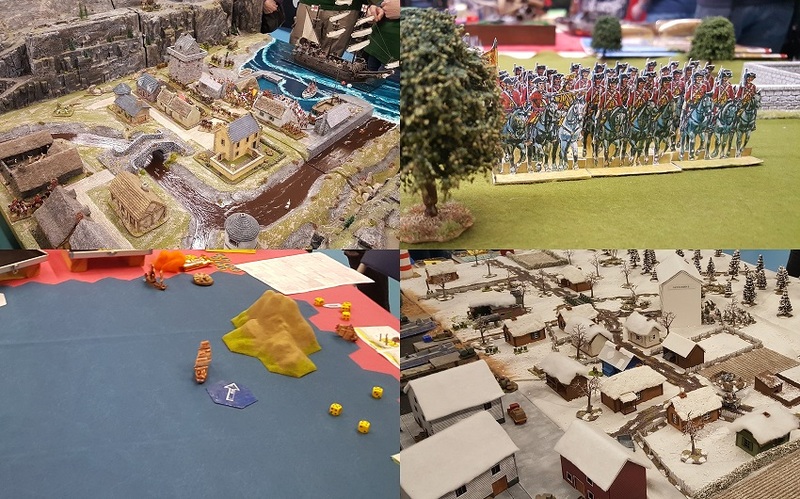 So no longer purely a society and/or wargames presence but a healthy symbiosis with like-minded military enthusiasts. 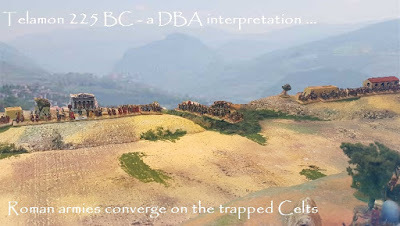 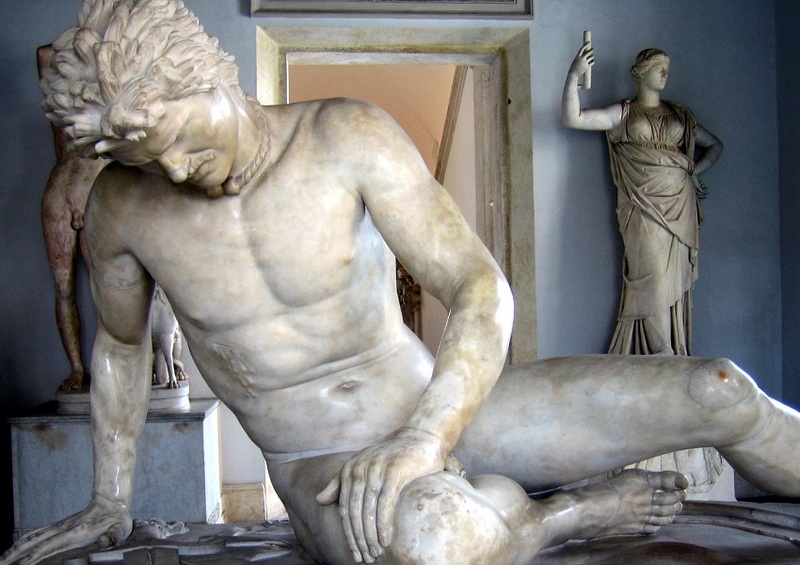 If you like the tallies, then, out of the ancient/medieval period, I did 4 further events,. 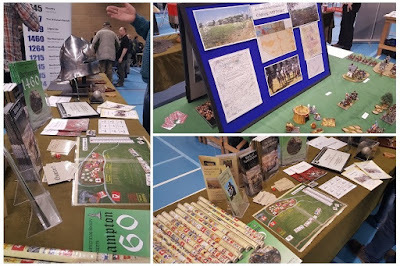 I was out battlefield guiding 8 times and I gave 4 talks on military history/battlefields (at Towton, Kettering, Northampton and Naseby). 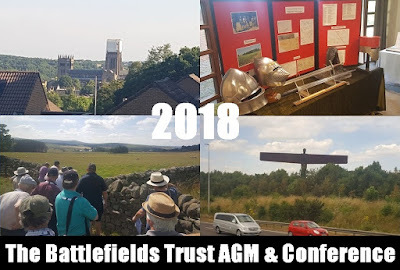 I walked the battlefields of Bosworth, Edgcote, Naseby, Northampton and Otterburn and visited Fotheringhay and Barnard Castle. The earliest (I think) was Middle Kingdom Egyptians and the most modern game was a multi-centred game about the Yom Kippur War. 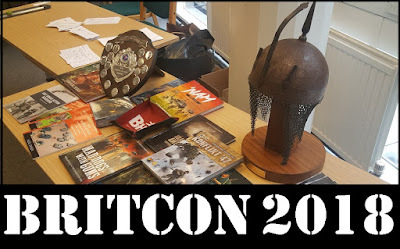 Plus most things in between but no Fantasy or Science Fiction, of course. 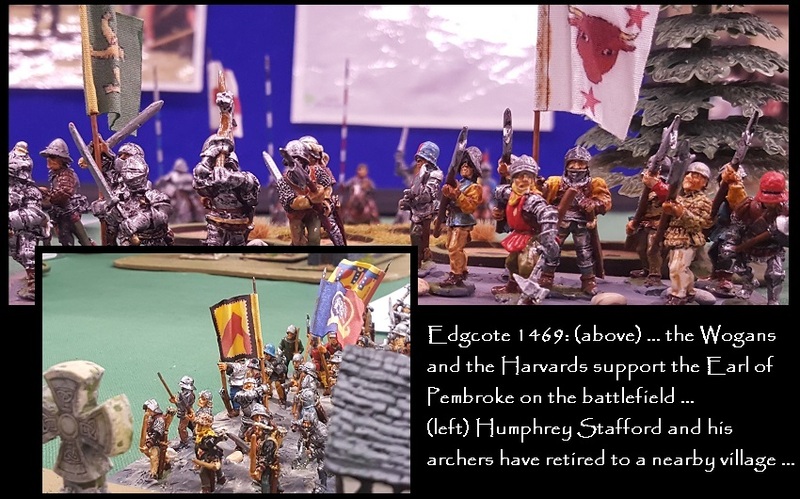 I didn't use my 6mm figures or larger sized Medievals or Gladiators, but made extensive use of 10mm and 15mm, put a lot of work into the 28mm Medieval collection for Edgcote and, as usual, used 54mm figures for Bosworth. 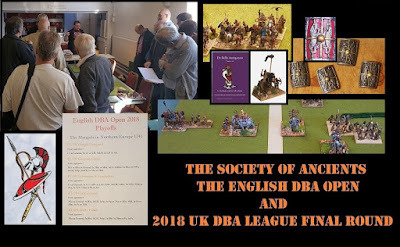 Projects-wise, I have mostly been working on DBA refurbs and on the Edgcote project which will go live in 2019 for the 550th anniversary and a big 28mm game touring the shows. 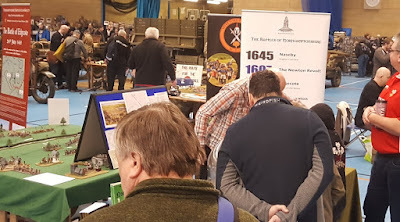 My thanks to Graham, Chris, Matthew, the other Graham, Paul and other volunteers for their help at various shows over the year. 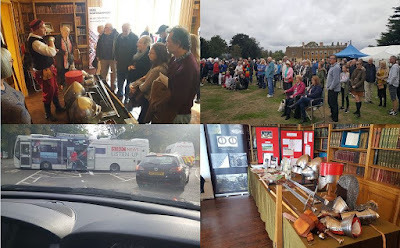 It is impossible to do these things solo (even though I got away with it a few times in days past - that was 30 years ago and things were different). Indeed, it is increasingly hard for any one organisation to manage to keep a show on the road - so thanks are evenly apportioned to the Battlefield Society, SoA and L&L - plus recognition is also due to the Naseby Project and Battlefields Trust. 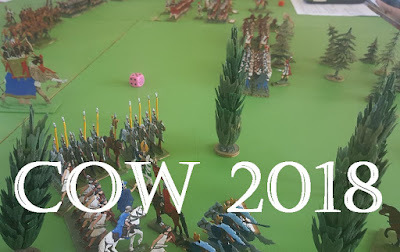 I updated 30 times this year - which is the most since 2013, and a big increase on last year. 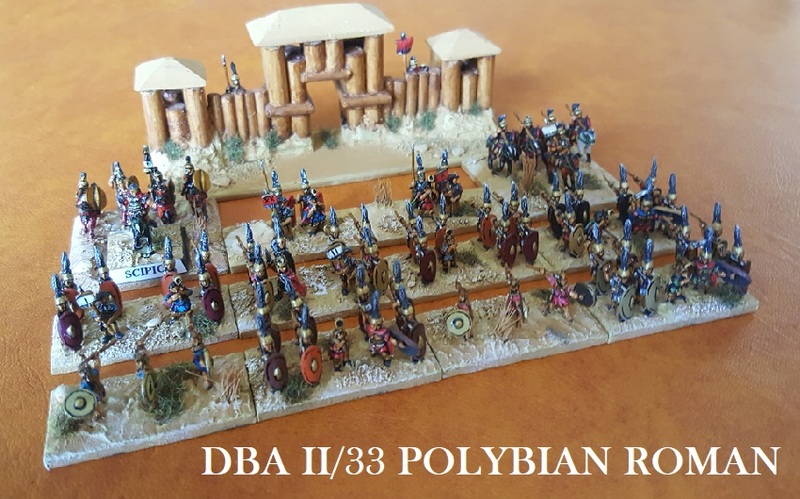 I added 8 more DBA army specials, and created a new page where they can be browsed at the click of a picture. 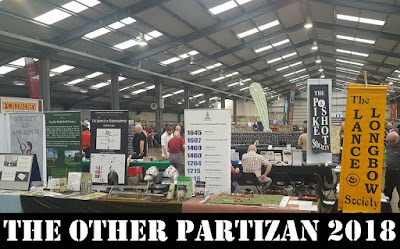 * family, cost of travel, value of £ and the current dominance of 'big brands' wargaming all being factors that can discourage self-design historical enthusiasts from grand ventures these days. 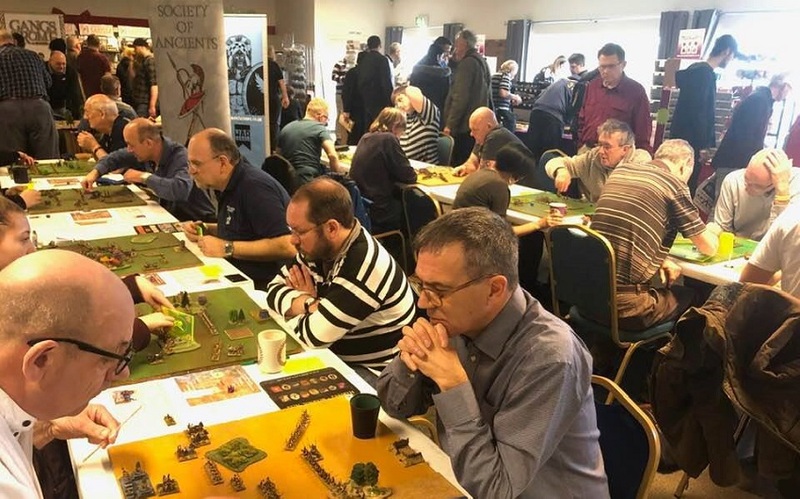 ** we wargame locally most weeks so the games played at the roughly '2 weekends a month' fill in the gaps and adds another 4 or so per month).